Get a taste of the arctic world with this enchanting, world-renowned destination. 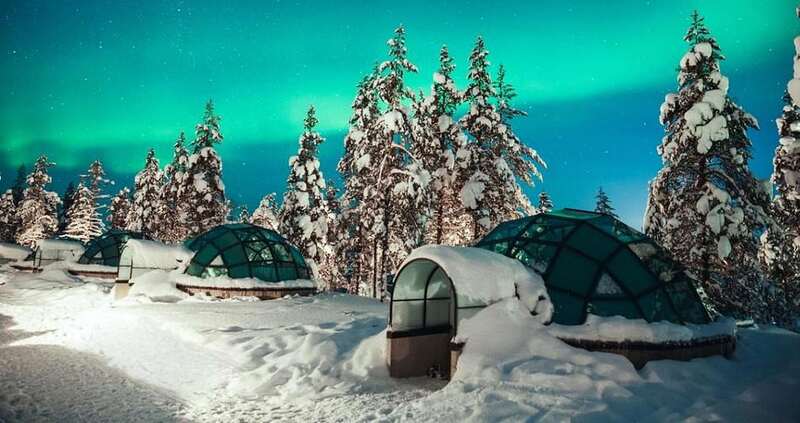 Surrounded by forest along the Kakslauttanen river, this tranquil resort features snow igloos and igloos with glass ceilings. They are designed to give a panoramic view of the abundant arctic nature. No need to worry about food: breakfast and dinner are free. There are 2 restaurants, 1 with a glass igloo bar. Activities include ice swimming and reindeer safaris.Experience the incredible and enchanting Northern Lights lasting from late August to April. Want to transform your arctic summer into pure magic? Well, this luxurious spot should be at the top of your list.